Stressed about Easter? Need some simple Easter ideas? Don’t worry, you aren’t alone! That’s why we’ve created this 30-page Easter book to take out the stress and help you create your BEST EASTER EVER! If you don’t want to spend hours and hours searching for simple, inexpensive, and fun Easter ideas, this is for you! 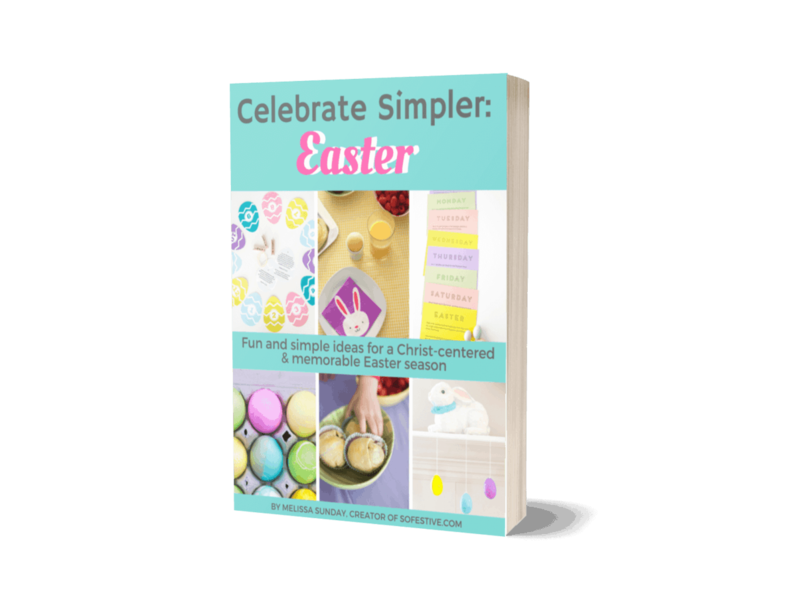 Celebrate Simpler: Easter is a bright and cheerful book full of ideas to help you start meaningful family traditions and get organized so you have a smooth-sailing Easter year after year! Easter gift tags making gift-giving a breeze! You will receive this book instantly –so won’t have to wait for these helpful ideas to come to your inbox! We’re so confident you’ll love these amazing Easter ideas, but if for some reason you aren’t, send us an email within 24 hours and we’ll make things right.